A collection of 53 math themed words to spell and add! Scrabble math activities are great for working on spelling, math, reading, writing, vocabulary, and more. Simply spell the words using Scrabble tiles and add up the numbers! 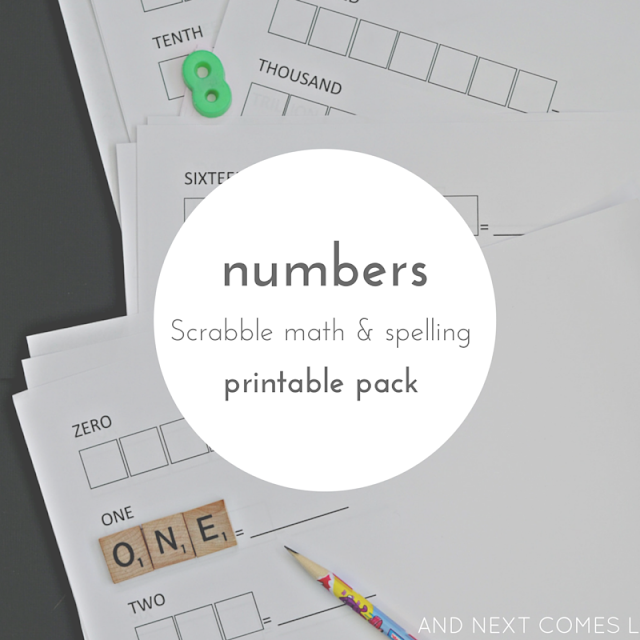 This numbers themed pack focuses on numbers 0-20, counting by tens from 20-90, big numbers, and ordinal numbers from 1st to 20th.